Hey, it's Paul Giamatti! 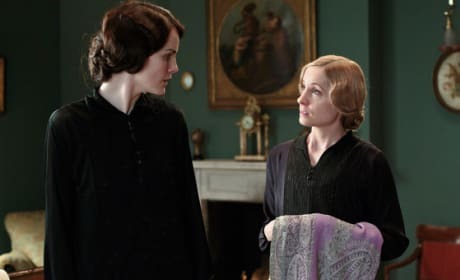 This movie star played a role on the Downton Abbey season finale. 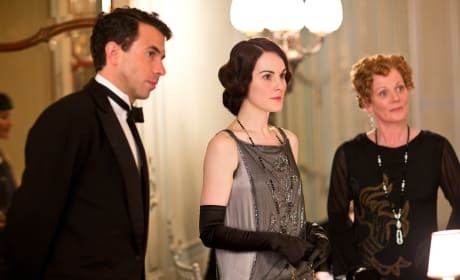 Jack Ross has made his presence strongly felt on Downton Abbey Season 4. He' a jazz singer. 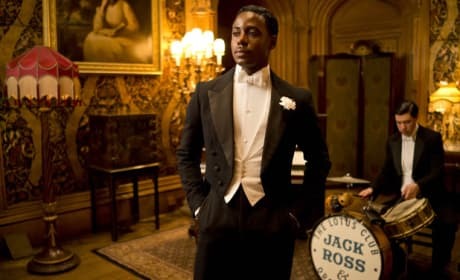 Rose hires Jack Ross as the entertainment for Robert's surprise birthday party at Downton. 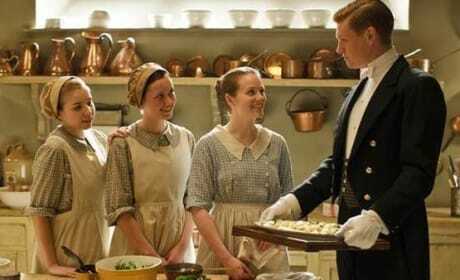 As Alfred's ambition soars toward being a chef, the ladies look upon him eagerly. Hello, ladies! 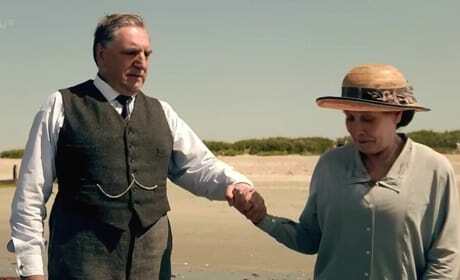 This is a scene from Downton Abbey Season 4. 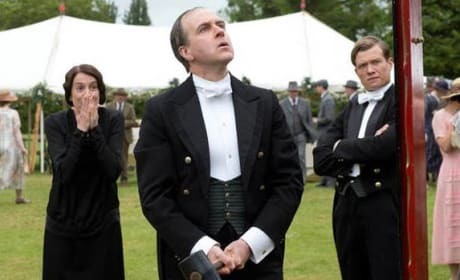 Mary, Lord Gillingham and Rosamund are listening intently on Downton Abbey Season 4 Episode 3. 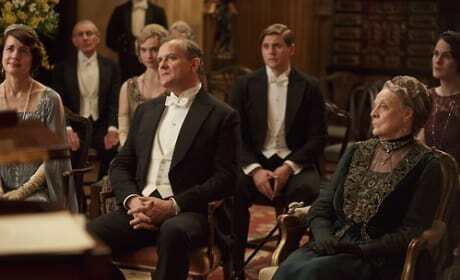 The house comes together for this Downton Abbey event. It is from Season 4. 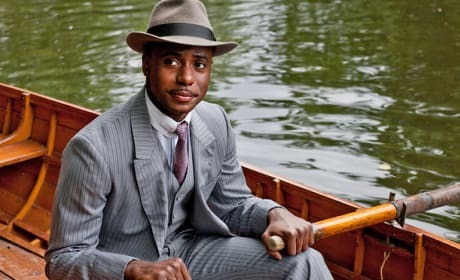 Downton Abbey Season 4 is off and running. 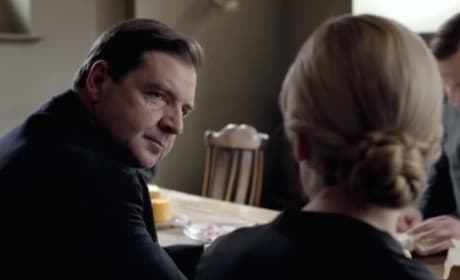 This is a photo from Episode 2.
Who out there doesn't adore Mr. Bates? 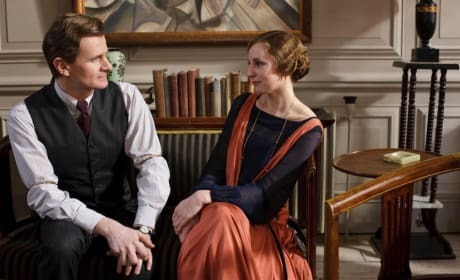 This is a scene from the season 4 premiere.